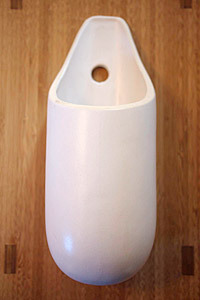 I’m loving this Tube Planter from West Elm. It’s bigger and more robust than it looks – about a foot tall, the walls are a centimeter thick, made of robust ceramics, but most importantly, it’s just gorgeous. 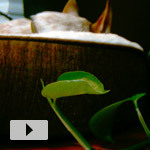 Like any closed-bottom planter, you have to be careful what you plant in it and how you water. If you leave water standing at the bottom, roots can rot. I tend to use plants that don’t mind staying wet (like ferns and jungle plants), or succulents that don’t mind staying very dry (like Sansevieria, which I used in a another one). 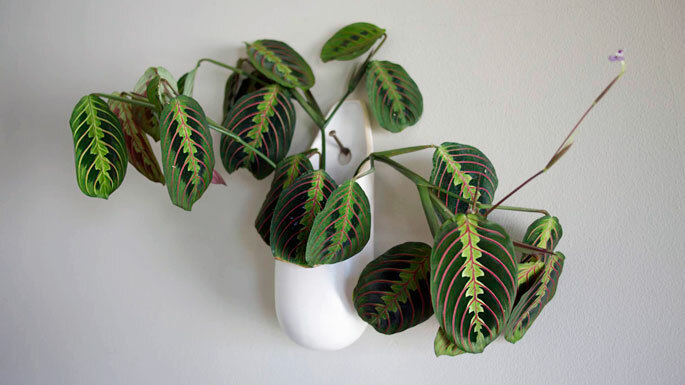 In this case, I chose a Prayer Plant (Maranta leuconeura erythroneura). I know, it’s a typical doctor’s office plant, but I love the pattered leaves. And bonus: It’s now blooming! See below for a closeup of a leaf and the tiny flower. 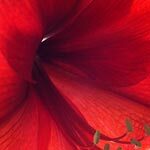 Amaryllis after-bloom care, generosity in gardening, Fred lives on, and snow in San Francisco in this week's garden links. 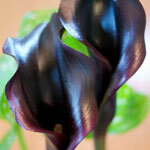 Check out these two beautiful black Calla Lily blooms. Can you guess what the names of each species are? I've had this Pothos (aka Epipremnum aureum "Marble Queen") so long, I don't remember where I got it. 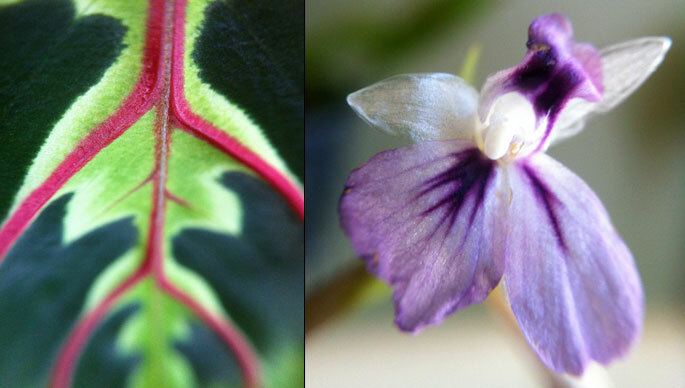 you’re always getting these average houseplants to flower – so impressed!